The Finding Silence Project examines the importance of silence in cultivating inner wisdom to enable us to thrive in urban society. Through interviews, portraits, essays, and interactive media the Project will create a bridge between those keepers of knowledge in the silence traditions of the world's major religions, and the modern urban dweller. "The small hermit lives on a mountain. For millennia, humans have sought retreat from the cacophony of worldly ambitions, have sought the solace of like-minded simplicity, the sanctuary of stillness, and the rhythmic discipline of inward focus wherein grace might be entreated to descend. The desert, cave and mountain dwellers understood the seminal importance of silence for spiritual growth and the endurance of their traditions bespeaks of great successes. Through recorded interviews and photographic portraits, a visceral and captivating understanding of the variety, depth and importance of the inner life will be revealed. 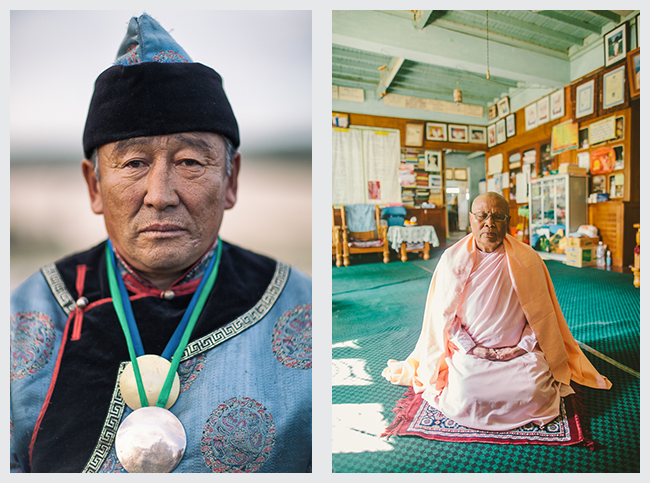 Photographer Scott Gardner and writer/producer Ian Gardner, will travel to the corners of the world to seek out the silence tradition keepers and capture their stories and knowledge. With your help The Finding Silence Project will unearth the hidden ores of knowledge and refine their essential truths, recording them to endure for all in need of wisdom, to be exhibited in the world's museums and be presented digitally to global citizens, for our generation and beyond. We thank you for considering our request. Platitudes regarding the bustling hustle of modern living do injustice to the weighty coin of tolls we pay: stress, anxiety, wave upon wave of digital hypnosis, our minds and attention ceaselessly engaged with no respite from weariness. We stagger under the burden of being constantly turned on and ignore the price of going and going. We are uncomfortable when faced with just sitting quietly. We have lost our relationship with silence. For millennia, humans have sought retreat from the cacophony of worldly ambitions, has sought the solace of like-minded simplicity, the sanctuary of stillness, and the rhythmic discipline of inward focus wherein he might entreat the grace of God's descent. The desert, cave and mountain dwellers understood the seminal importance of silence for spiritual growth and the endurance of their traditions bespeaks of great successes. The garrulous troupe of New Age pundits ceaselessly laude the importance of the inner life. Volumes are devoted to its techniques, keys, secrets, processes and paths. Countless references are made to the value of a rich inner life and its virtues are bandied about amongst the erudite circles of the spiritual elite. But what does that really mean? What is it like? What is the experience of the inner life and how does it affect the rest of my outer life? Why should I care? -What does it mean to have an inner life? -What is the experience like? -How do you cultivate it? Through recorded interviews and photographic portraits a visceral and captivating understanding of the variety, depth and importance of the inner life will be revealed. 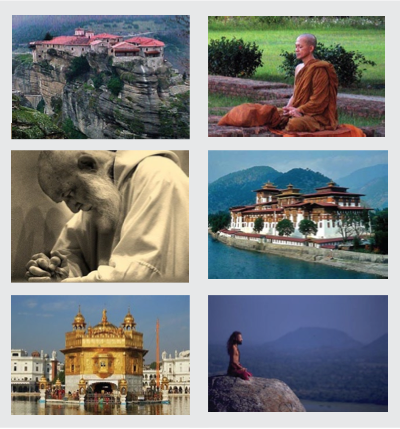 What do the monastic traditions have to offer us today? Is wisdom truly timeless? Or are the years behind doors and within cloistered gardens merely a creaking relic of the past, without tie or relevance to the future? We believe not. The keepers of wisdom have been steadfast in their efforts, sheltering their ways against the surging world around them, and now it is time to seek and bring forth their knowledge to provide solace for those so desperately in need. We cannot all fully engage the monastic way and reap its benefits, yet to live in the modern world (not merely to survive) we must understand the monks' secrets and adapt them to our ways. The monks walk through the monastery door and enter their cloistered world. In like manner we must learn to enter the door of our own inner stillness, and there find the hidden wisdom, the truth we can find within ourselves, ringing out from the depths of great silence. Doug Busch is an internationally acclaimed large format black and white photographer, whose visionary artistic talent and uncanny technical expertise has led to collections and shows throughout Europe and the United States. His photographs strive to "present reality more accurately than we can actually see it" via the density of his images. He and writer/producer Ian Gardner, will travel to the corners of the world to seek out the monastic tradition keepers and capture their stories and knowledge. With your help The Finding Silence Project will unearth the hidden ores of knowledge and refine their essential truths, recording them to endure for all in need of wisdom, to be exhibited in the world's museums and be presented digitally to global citizens, for our generation and beyond. We thank you for considering our request! In the stressful busyness of modern life we fantasize about peace and quiet. The travel industry has learned to capitalize on this and offers us promises of idyllic escapes, the salutary effects of which fade all too quickly upon our return home to the consumer treadmill. We imagine the monastic life and it evokes romantic notions of gentle rhythms and solitude, but what lies behind the closed doors and solemn vestibules? 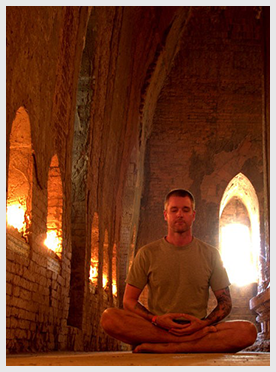 Have the monks uncovered secrets about how to live life peacefully and stress free? Are they spoken to in the silence? Are there secrets that might enable us to live in balance while maintaining our modern lifestyle? What can we learn from their thousands of years of tradition? "What does the Monastic tradition have to offer us today?" We will unearth the answer to this question from amongst the religions that comprise our global panoply and have a tradition of practices to cultivate the inner world: Buddhism, Christianity, Sufism, Hinduism, Jainism, and Taoism. 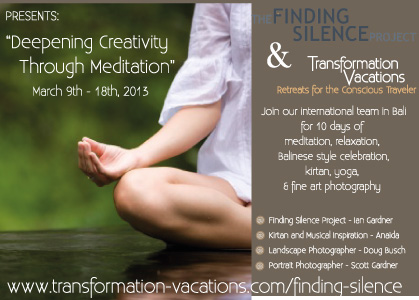 The Finding Silence Project hosts classes, retreats, workshops, one on one counseling and seminars to deepen your practice and expand your awareness. Examples of recent events are below. To learn about upcoming trips please complete the form here. "To be able to move seamlessly between the liquid and digital realms, between the depths of the spiritual and the excitement of the material, is the highest goal of modern living." 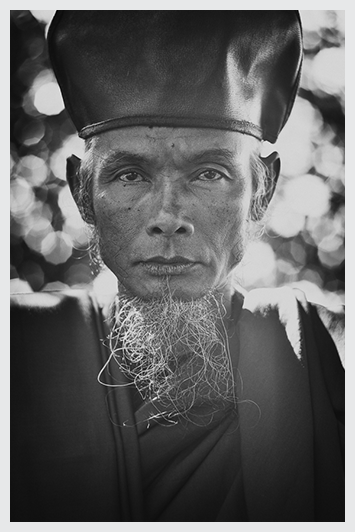 Ian's spiritual and professional lives have crisscrossed the planet and traditions. A seasoned and successful entrepreneur he has started and sold companies in biotech and renewable energy. A pre-med student in his undergraduate training his first job out of college was with the prestigious international development arm of Duke Energy, where he worked on projects in China, SE Asia and Latin America. Several years later he left for California where he became a manage- ment consultant with the white shoe consulting firm, The Boston Consulting Group, working engagements throughout South America, northern Europe and Australia. 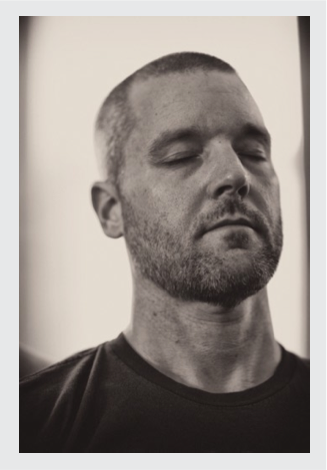 While earning an MBA from The University of California Los Angeles, Ian was introduced to yoga and meditation and developed a devoted practice in both areas, studying under the renowned Bikram Choudhury, and exploring the meditative paths of Transcendental Meditation, The Self Realization Fellowship, Eckankar and Mudrashram. 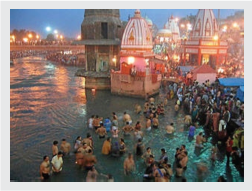 In 2001 Ian journeyed to Allahabad, India to participate in the Maha Kumbh Mehla, attended by over 60 million Hindu devotees and occurring only once every 144 years. While at the month long festival he spent time questioning the sadhus, bathing in the Ganges, meditating and talking with mendicants from the remote reaches of India. Upon his return he entered a year in seclusion, living simply, meditating up to 8 hours a day, and writing about his inner experiences. In 2003 his first book, "Voices of Ancient Bethlehem: A Dialogue with Jesus and the Twelve Disciples," was published by The Jodere Group to positive acclaim within the esoteric Christian community. He has written five additional books related to the esoteric teachings that are available on a limited basis. Ian also spent two years working for The Esalen Institute in Big Sur, spending time with numerous luminaries in the human potential field and observing and contemplating the vast variety of teachings and paths. He returned to entrepreneurial efforts in 2004 and subsequently co-founded and sold two companies. He currently is an investment banker focused on clean technology, and resides in Los Angeles, CA with his young daughter. He meditates up to two hours daily and has several spirituality focused media projects in development. Scott is a lifelong photographer who received his BFA in cinematography from the North Carolina School of the Arts. 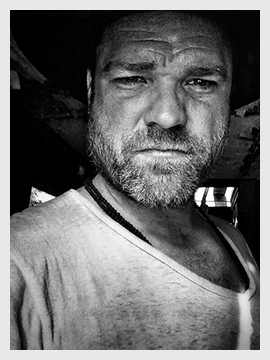 He has worked on feature films that have screened at the Sundance and Berlin film festivals, and shot television documentary series for Discovery Channel, National Geographic Channel, History Channel, Animal Planet, and Red Bull. He received an Emmy Nomination in 20014. He has shot movie posters for films that have screened at the Sundance, Berlin, and Cannes film festivals. 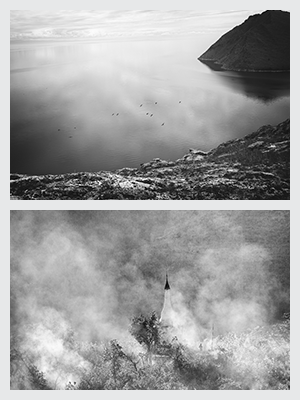 He is currently working on two photography projects, Finding Silence and AboutFaceCLT. Scott believes in art as an act of service.